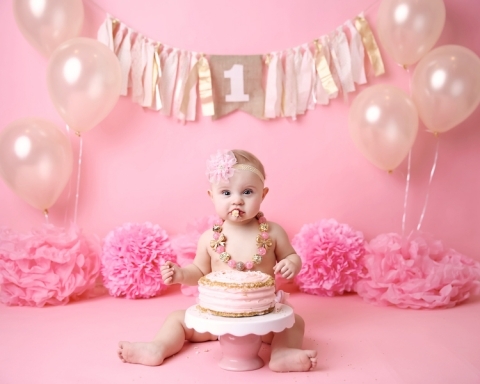 Happy first birthday, Harper! It’s incredible to think that just a year ago I was shooting your mama’s maternity session, your newborn session, then 4, 8, and 12 month sessions. What a privilege it has been to watch you grow up over the past year! 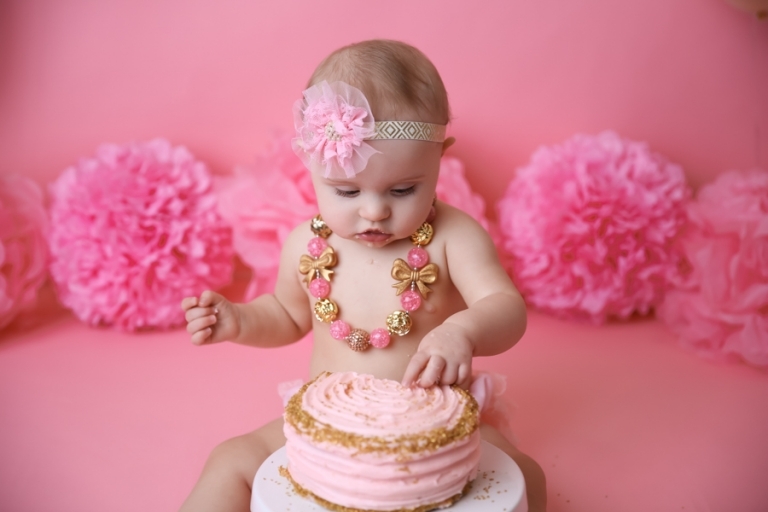 Harper’s birthday party was gold and pink themed, so we rolled with it right through her cake smash. This adorable cake was supplied by A Cupcake a Day in Medina Ohio. I love those gold sprinkles- almost too pretty to eat! Just check out that little grin- she knows how adorable she is! 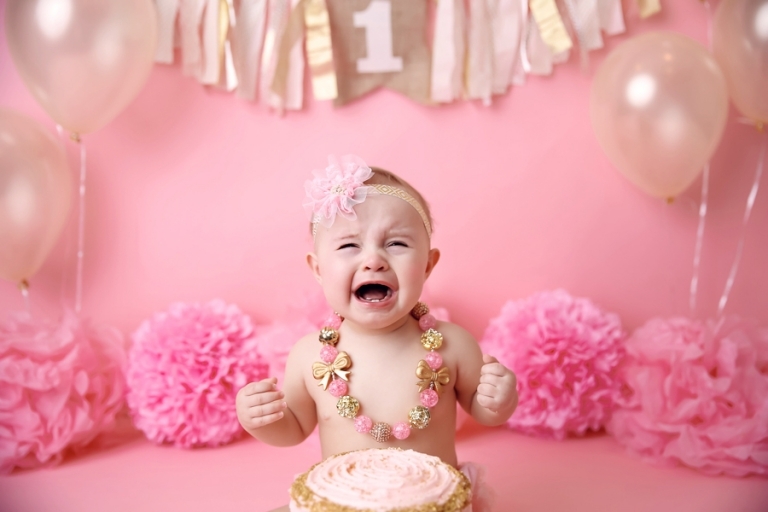 It’s my party and I will cry if I want to…..well, almost all babies cry at some point. But Miss Harper didn’t want to get messy, and who can blame her when she is all dressed up. What’s a girl to do?? Mmmmmm, did someone say cake?? Oh those baby rolls~ so yummy and fleeting! It’s all about the details with these sessions and capturing their personalities. Let me tell you, Harper really let hers shine. Thanks for stopping by! 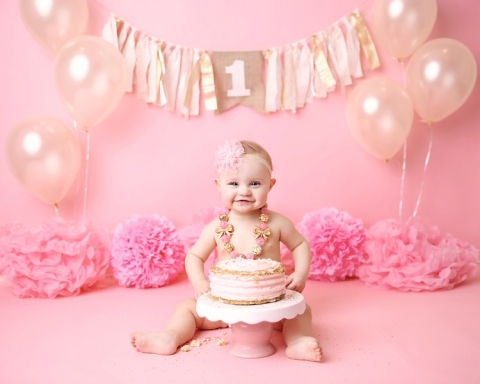 More information on cake smash sessions can be viewed here or contact me to schedule your session at mary@marychristinephotography.com.